Where to Find Bluma Flowers!! We have made some changes for 2019. Bluma is moving to the city! We will be on a rooftop at Dwight and Fulton in Berkeley! I will continue to sell to florists and grocery stores (see below). As well as doing more design work and offering a weekly flower share and doing more workshops too! I will be offering a Weekly Flower Share/CSA this year! As well as local deliveries. Check out the shop for info and to sign up! For Weddings and events- see our inquiry form below! We also do weekly design and installations for restaurants and offices. As well we offer an 'a la carte' option for weddings and events. Find Bluma flowers in local grocery stores. 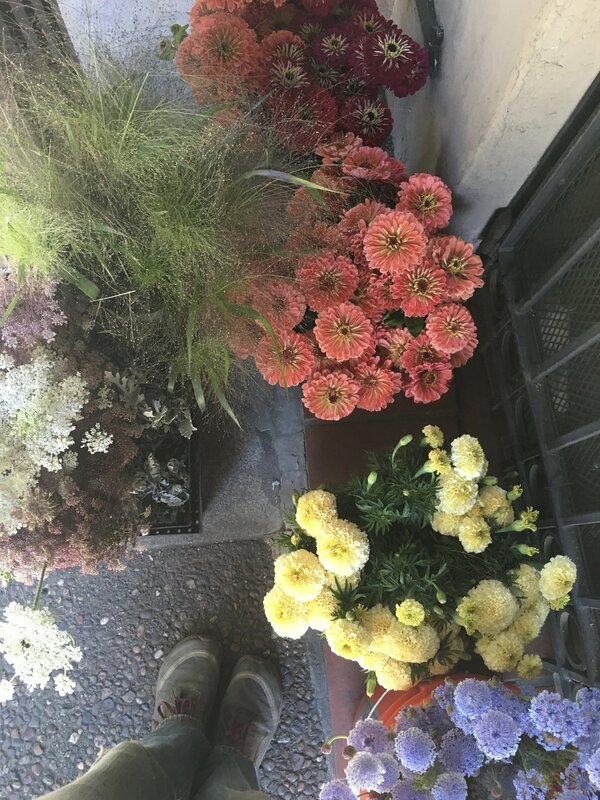 We sell bunches of our flowers to grocery stores around the Bay Area, including: Berkeley Bowl, Rainbow Grocery, Monterey Market, Bi Rite Market, Lukes Local, Canyon Market and Whole Foods. We are also booking workshops!- if you want to have a small gathering at the rooftop farm we can cater a farm tour and class of your choice for you and your friends! Thank you for getting in touch. If you don't hear back from us right away don't hesitate to call.